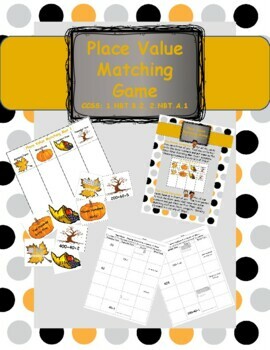 This is a place value matching game aligned with CCSS 1.NBT.B.2 and 2.NBT.A.1. 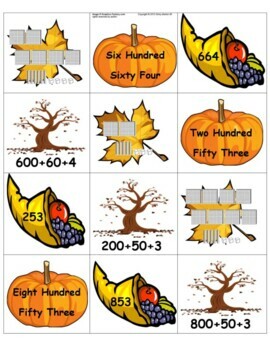 There are 15 three digit numbers for students to match the standard, word, symbol and expanded forms, as well as 15 two digit numbers for students to match the same forms. 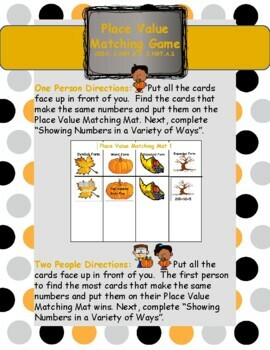 There are also a set of 15 blank cards labeled standard form, word form, symbol form and expanded so that you may switch out pre-printed cards for blank cards to challenge students further with a specific form. 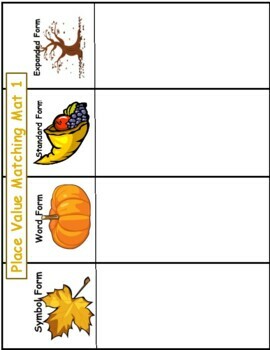 It also includes a follow-up worksheet to assess understanding. **Laminate on card stock for years of use.